All the hoopla surrounding the election of Pope Francis has been extremely interesting. Just imagine: a little more than 50 years ago, America had heated debates as to whether or not we could elect a President who was Catholic. Yes, times change and thank God they do! But, to see so many non-Catholics so enamored by the election of a Catholic Pope was quite surprising. I find it very interesting that a Country founded upon the Protestant Ethic and the Spirit of Capitalism and the rejection of Royalty and Papacy, would now be so focused on both the British Royals and the Catholic Pope. Oh, how things come full circle! Yet, this infatuation with the Catholic Pope is not a major issue. People have their reasons, I’m sure. But the hype has highlighted a point about which most people are unaware. The Catholic Pope is not the only Pope. There are three Holy Sees and three Popes. And no: I’m not talking about the Western Schism between Rome and Avignon. 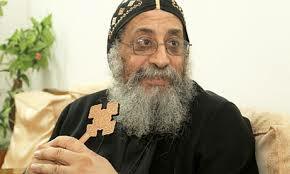 The three Popes of whom I speak are: the Catholic Pope, the Coptic Pope and the Antiochian Pope. Historically, there are three Ancient and Holy Apostolic Sees in Christendom. Ironically, all three Holy Sees have undergone change in the past year. 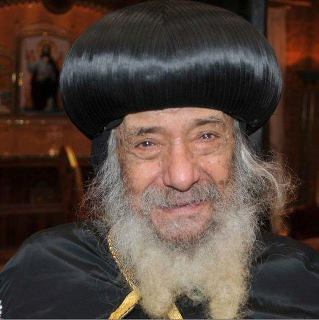 The Coptic Pope, His Holiness Shenouda III of Alexandria died on March 17, 2012. 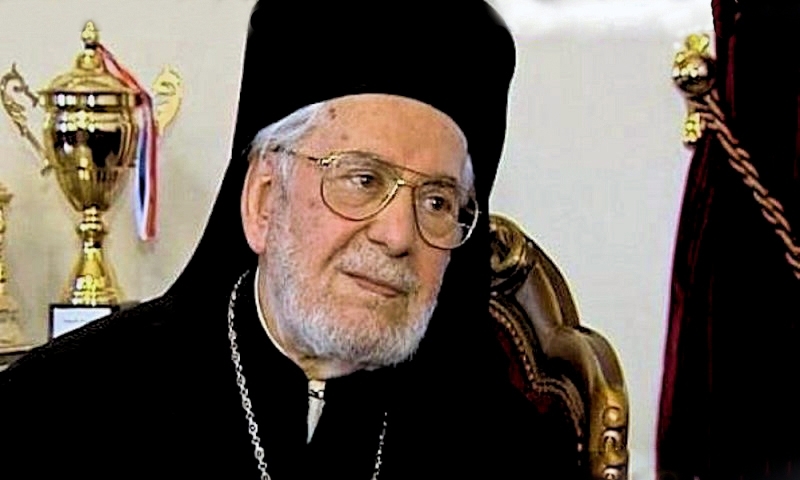 The Antiochian Pope, His Beatitude Ignatius IV of Antioch died on December 5, 2012. 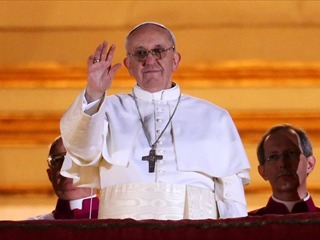 And now, the Catholic Pope, His Holiness Benedict XIV retired at the end of February, 2013. But there was no fanfare surrounding the election of new Popes for the other two Holy Sees…equally important to Rome. The See of St. Mark in Alexandria is largely responsible for Ancient Christian Thought. The Nicene Creed was written by an Egyptian. Monasticism was born in Alexandria. And, Alexandria played a central role in Christian theology from the beginning of the Faith, and the Catechetical School of Alexandria is the oldest Catechetical School in the world. Christians from around the world (including Rome) came to Alexandria to learn and study the Faith. The earliest usage of the term “Pope” (παπας) was in reference to the Coptic Pope. The (First) See of St. Peter in Antioch is the first place where Disciples of Jesus Christ were called “Christians.” (Acts 11:26) During the persecution, which resulted in the martyrdom of St. Stephen, many Christians in Jerusalem fled to Antioch for refuge. Before serving as Bishop of Rome, St. Peter served seven years as Bishop of Antioch, with the assistance of Sts. Paul and Barnabas. Catholic Pope Not Alone: So What? Understanding that the Catholic Pope is not the only Pope broadens should our perspective of the Catholic (i.e. Universal) Church. When we say Catholic, it should not refer simply to the Orthodox Church of Rome. It should refer to the Universal Church, i.e. the Global Church. The irony of exposing the existence of the three Holy Sees in the context of our present Society is that in the past year, all three Papacies have experienced change. That must be a message from God. But a message of what? I don’t know the answer to those questions. I only know the questions. Yet, I do know that one thing is for sure: Christendom is bigger than the Catholic Pope. And, until we subdue our Western sensibilities and humble ourselves to understand that we will still see problems. Western Reformer, Martin Luther remarked of the beauty of Orthodoxy. 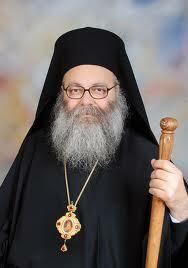 Some of his disciples actually attempted to reconcile with the Orthodox Church. Yet, political realities and a deficiency in human will encouraged further division in the Body of Christ rather than reconciliation. Now, there are about 41,000 Christian denominations! How can anyone take the Gospel seriously if Christians cannot agree? Pope Francis has a big role! His role is larger than the Catholic Church. As the overseer of Western Christendom, which sprung from the (Second) See of St. Peter, Pope Francis will be challenged to right the present and historical wrongs of the Catholic Church and heal the breach cause by centuries of egregious behavior and oppressive theology. Rather than simply being born in Latin America, he must endeavor to make reparations for the imprint of the Church of Rome on Latin America and the Americas, in its resistance to Liberation Theology. He will have to confront the corruption of the Vatican and the pedophilia scandal. But beyond the Church of Rome, the Catholic Pope must do something to begin the process of reconciliation between the Catholic Church and the Protestant churches of the West (to include former colonies). Truly a monumental task. We should all pray for him. We have an opportunity to to reconcile the Body of Christ: institution and faithful. May God give vision and courage to each of His Vicars, that they might move the Body of Christ towards reconciliation! May He give us the will to follow without hindering the move towards unity! Amen!